The OnePlus 6 is widely hailed as a developer-friendly device thanks to an active third-party developer community and the accompanying ease of modding. 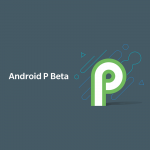 And thanks to Google’s Project Treble and Google’s close collaboration with Qualcomm, the OnePlus 6 is also among the few non-Pixel devices that will receive the latest Android P Developer Preview 4 (Beta 3). OnePlus is using their own naming convention to address these Beta releases, which makes things a bit confusing. While they refer to this release as the “Android P Developer Preview 3,” it is based on the same codebase as the Pixel’s Android P Developer Preview 4 (Beta 3), but with some OxygenOS flavoring on top of it (that were added in the previous Beta). This release hovers primarily around improving system stability and compatibility issues, as well bringing the latest July 2018 security patch to the device. Since this is still a developer preview, stability issues and power consumption issues still exist. Updating from OxygenOS based on Android Oreo to these Android P Developer Previews involves a data wipe. If you are updating from a previous Android P Developer Preview, a data wipe is not necessary, but you should still ensure your data is backed up in case you need to wipe it for unforeseen compatibility issues. For detailed instructions on both upgrading and downgrading, and for download links, check out OnePlus’s official thread for this update. Source: OnePlus Forums Check out XDA’s OnePlus 6 forums!